Muncie, IN (NEWS)– In case you missed it, our neighbors to the Northeast experienced a shock and an inconvenience when they were told to avoid drinking their city’s water. Ohio’s republican governor, John Kasich, had to declare a state of emergency so water could be brought in by the National Guard. What was the cause of this emergency? Blue-green algae in Lake Erie which furnishes water to 400,000 residents living in Toledo. Not only were residents told not to drink it, the young and old were told not to bathe in the water. Restaurants were closed. Hospitals faced a crisis. We agree with the republican governor, nothing is more important than our water. However, John Kasich shouldn’t be surprised – he’s been warned about this for years, but he’s also been paid to look the other way. Lots of cash from the right people will strain your vision and cause short-term memory loss. We’ve even heard that enough money can cause a person to completely deny climate change occurring right in front of their own eyes. Grand Lake St. Marys (GLSM) is a public drinking water supply in Ohio that has experienced recurring HABs since 2009 related to livestock manure runoff and nutrient loading (OEPA 2009). The watershed is 90% agricultural, with nearly 300,000 animal units of poultry, swine, and cattle. The HABs have caused fish kills, waterfowl and pet deaths, and have also been linked to over 20 cases of human illness. The state of Ohio has issued recreation, boating, and fish consumption advisories related to the blooms. The $150 million annual lake-based recreational and tourism industries have been compromised, park revenues have decreased by more than $250,000 per year, and several lakeside businesses have closed. At the end of July, I attended a CAFO Watch Conference in Chesterfield because I’m worried about our FOOD and WATER supply. Ohio isn’t an isolated case, these large industrial animal farms have been well documented to be harmful to both our food and water supplies. In addition, the animals raised in confined space endures unspeakable torture, are forced to eat unnatural food, and live in their own feces. In order for them to overcome these horrible conditions, they are injected with antibiotics and tranquilizers. Over 80% of all antibiotics sold in the USA are to industrial farms. A study published in July by the Proceedings of the National Academy of Sciences shows that livestock production is among the most destructive forces driving climate change: it degrades air quality, pollutes waterways, and is the single-largest use of land. Newsflash – Indiana ranks as the 8th Most Dirtiest State for our air and water quality. The Hoosier state has become a dumping ground for dirty energy and farming practices. Our poor air quality is leading to all sorts of asthma and allergy problems for Hoosiers. Attending this years conference was Terry Spence from Missouri, who is a leading authority on industrial farming and industry practices. This year, Jillian Fry from John Hopkins University, was there to speak about the public health perspective. Dr. Ikerd rounded out the trio of experts brought in to share what they’ve learned about CAFO’s over the past year. Very enlightening. It’s important to note, there were no other newspapers or media agencies present. Nobody from Anderson, Indianapolis or Muncie. Gannett News, the largest newspaper company in Indiana, didn’t send a single journalist. You would think our news and media companies in this state would be interested in discovering what has happened in the Midwest since industrial farms are one of the fastest growing industries in Indiana over the past decade. You’d think they’d want to inform the public about the dangers to our food and water supply. If our government isn’t doing their job, we need to rely on the Fourth Branch of government – a free and independent press – to do their job. Well, unfortunately, this isn’t the case since neither the government nor the press are performing their constitutional duties. In fact, during the Toledo experience, nobody was telling the public what was causing the blue-green algae, and that it is preventable. We can only speculate that it’s the same reason Hoosiers aren’t told who’s behind the destruction of our public schools. The editors are told not to bother. The fourth branch of our government has been told to stand down and watch as large corporate farms have moved into Indiana and set up shop under the leadership of former Governor Daniels, and now Mike Pence. And, what was Mitch’s economic development plan for attracting these large industrial meat production plants to our state? He eliminated government regulation over CAFOs. Then, our super majority of republican lawmakers passed a “Right to Farm” bill into law. Large pork producers in North Carolina and in Europe quickly set up operations in Indiana because the government was having to regulate the farms because of the damage they were doing. We rarely hear about it on TV or newspaper – both corporate owned media public relations departments for large corporate interests. The farming industry has a huge lobbying group called Farm Bureau which spends millions of dollars in the Midwest doling out cash to politicians willing to work on their behalf. The meat industry also spends millions of dollars on lobbyists to keep up taxpayer-funded credits and farm subsidies along with blocking or minimizing regulations. All of these self-interested efforts boost their profits. The industrial farm corporations also support ALEC, the corporate funded bill-mill, which pushes ‘Right to Farm’ legislation in statehouses across the Midwest, including Indiana. ALEC and the Koch brother’s spend millions supporting the Tea Party and other anti-government groups who work to obstruct or defeat any state or federal regulations. They choose anti-government officials (tea party republicans) who grant the private sector special privileges, forgetting that the government was designed to keep the private sector from taking advantage of the public. A Delaware County judge ruled in favor of the CAFO’s because the plaintiffs couldn’t prove the farms were “negligent” in letting the noxious smells drift to other properties. You must understand, the bought and paid for republicans in Indianapolis were handed a bill written by ALEC called “Right to Farm”, which reads much like the “Right to Work” bill. Since the new law says, “There is no difference between planting and growing corn vs raising thousands of pigs in small spaces creating tons of toxic manure”, the judge had no choice but to rule in favor of defendants. (By the way, Randolph County is upstream from the White River – our source of drinking water. It appears as though the millions handed over to lobbyists and campaign coffers are dollars well spent, since it keeps the regulators off their back and newspapers don’t bother informing the public about what’s going on. Well, until a state of emergency like Toledo, where hundreds of thousands of residents are told their drinking water is contaminated. Then it takes a tremendous amount of whitewashing. One of my favorite lines came from a network news anchor who said, “The Algae blooms on Lake Erie just appeared without any warning to officials”. We completed a Google search on the Toledo water emergency and scoured three pages of newspaper articles. Not one newspaper article would speculate the cause of the algae bloom in Lake Erie beyond attributing it to runoff of fertilizer – phosphorous and nitrogen build up in slower moving water. Not one regulator or politician was asked for their opinion. None. 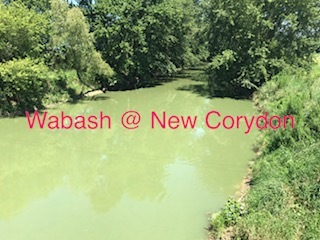 Also worth noting, Brookville Reservoir in Southeastern Indiana is now the second large body of Hoosier water this summer experiencing algae blooms and warnings have been issued, and the EPA has been contacted since manure is staged around the reservoir. Brookville is one of the most pristine lakes in Indiana. Does anybody in the public believe there is no difference between growing corn and raising thousands of hogs in a confined space? I’ve never smelled corn or soybean during a growing season or when it was picked. Can you say the same for a large outdoor pond where tons of manure and urine is trapped outside in the heat of summer? Why would lawmakers protect the rights of these corporate farmers over residents in neighboring properties? Todd Smekens is shocked — SHOCKED, I do say — that agriculture often involves smells! What will the poor guy do? How, oh how, will he survive because a few days a year the process of livestock husbandry involves animals that, ooooh, smell. Smekens’ flaw — despite not really understanding the topic — is reflective of the anti-agriculture activists who want to impose their lifestyles on others. They wrap themselves in the flag of “progressiveness,” but don’t invest the time to actually look at the science. 1.) Did so on a full stomach. 2.) 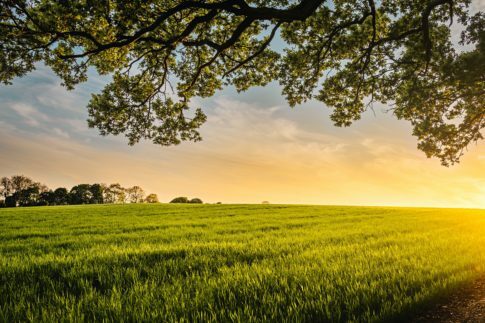 Never spent a day on a modern farm and, therefore, fails to realize that the carbon footprint for food production is lower today than at any other time in human history. Mr. Smekens, I know I have been flip, but so are you. It’s hard to take serious the man who wags his fingers in the face of others and tells them how to live. Brother, clean up your own house first. Cows smell, and so do pigs. Thousands of pigs crammed into cages with bottomless floors to collect their feces and urine goes beyond a “smell”. Industrial farming in confined spaces requires more regulation, not less. It requires more scrutiny to protect neighbors adjacent to these properties, not less. It requires more federal regulation to protect our waterways, not less. As you suggest, I’d strongly encourage you to follow the money. When the largest meat producers in the world see dollar signs as Asia’s upper class desire meat, our environment will become even more stressed, not less.